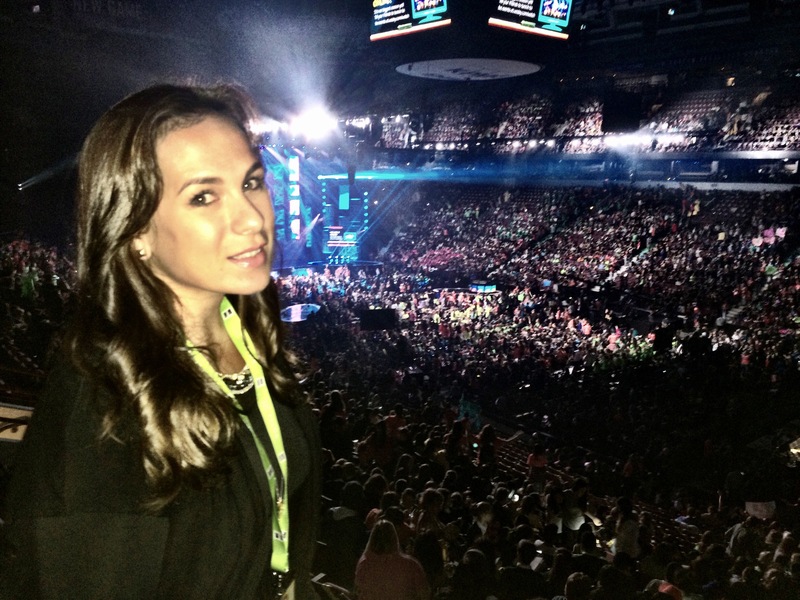 On October 22nd, I had the absolute privilege of attending We Day Vancouver, at Rogers Arena, among 20,000 students and educators from more than 700 schools. We Day is a movement of young people who are leading local and global change, and it is considered one of the greatest movements of our time. We Day is a global platform for social change, where youth learn about pressing social issues, become inspired to become leaders and take action on the causes that are important to them. We Day also inspires youth to become global citizens. But, here’s the catch; you can’t buy a ticket to We Day! Students have to earn their way by taking on one local and one global action, through the year- long We act program. This program provides educational resources and campaigns to help youth turn this education into action. Best of all, We Day brings together world-renowned speakers and performers, international activists, and We day Co- founders and brothers, Craig and Marc Kielburger, to inspire the crowd with their experiences, motivational speeches and energize the crowd with amazing performances. I began my day in the press room where we had the opportunity to interview Marc Kielburger- co-founder of We day and founder of Free the Children. As well as actor and humanitarian, Orlando Bloom. This is the exact reason these youth were sitting in the worlds coolest classroom! They are choosing to use their lives to be the change. After the press conference, we settled into our suite sponsored by Telus. I sat at the edge of the balcony and listened to the roaring buzz of the excited crowd. Seriously, the excitement had me shaking, and I felt so grateful for the opportunity to be there. WOW! What an important message. Kudos, to Selena for her truthful, heartfelt, speech. To top off the day, special guest and surprise appearance from Jennifer Lopez!!! Although I didn’t get the opportunity to interview any of the performers, I did however get the opportunity to interview two youth that are making a difference at their schools and within their communities. I really wanted to take the time to interview them, because at the end of the day, the event is about them, and the contributions that they are making. I interviewed Robin, age 17 and Emily, age 14. Because the theme of the day was empowerment I asked robin (17) , what empowerment means to her. I left We Day with immense feelings of hopefulness, gratitude and inspiration. We are creating a kinder , social and global aware, generation. 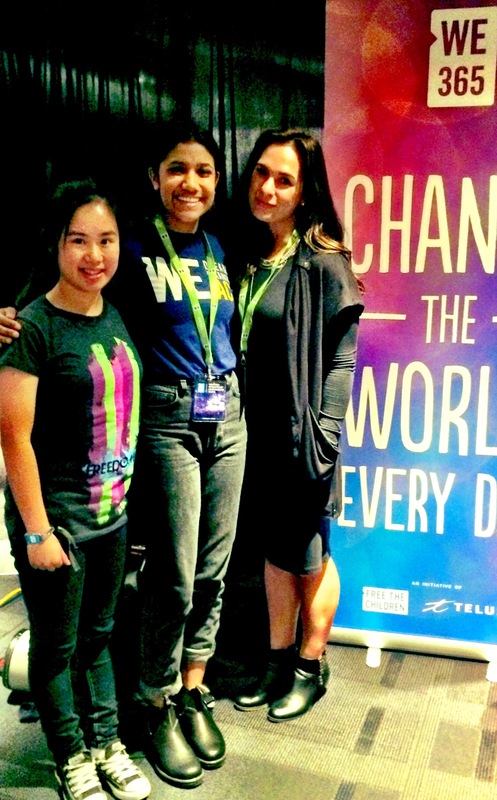 Thank you We day and We act, and sponsors Telus and RBC, for helping build the next generation of global citizens. And don’t forget to download We365! We365 is a community of dreamers, believers, and doers who want to make the world more awesome. Who says you need to be older to make a difference? For every download, TELUS will give $5 in support of We Day and educational programs! We365 enables youth to choose the causes that rock their world & explore ways to support them. Seriously, wish we had this tracker when we were in school! Download yours today!